15 Nov Why take a TEFL course? So, you want to teach English abroad? In that case you’re probably wondering what kind of qualifications you need, which country you should move to and how you’re going to find a job, right? At least, these were the things I was most concerned about when I decided to step into the world of English teaching. One of the first decisions I made was to take not one, but two TEFL (Teaching English as a Foreign Language) courses – here’s why. What is a TEFL Course and do you really need to take one? Quite simply, TEFL courses should help you learn how to teach English as a foreign language to children and adults from countries all over the world. In reality, as I found out when I moved to Vietnam and started my first ever teaching job, nothing can really prepare you for that first time you have to stand in front of a class and deliver a lesson. In my opinion, teaching is really something you have to learn on the job and you only get better at it by practising, learning from your mistakes and constantly trying to improve and adapt your teaching style. 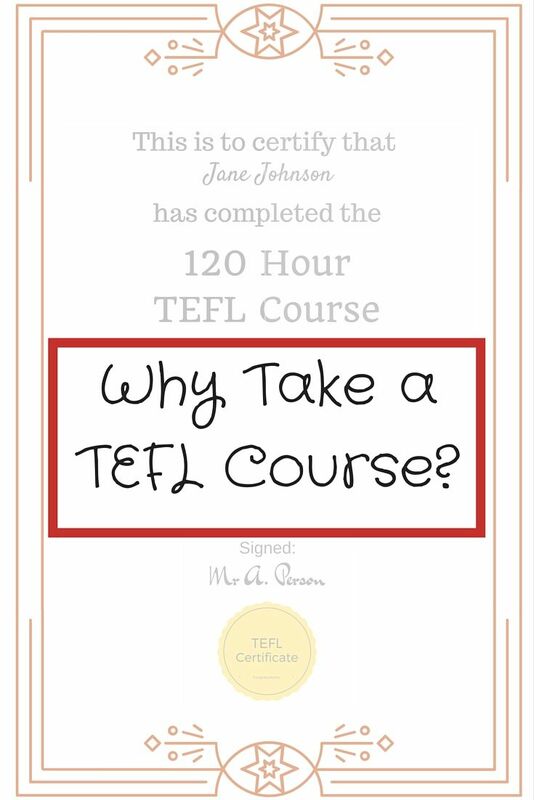 So, in light of this, do you really need to take a TEFL course? 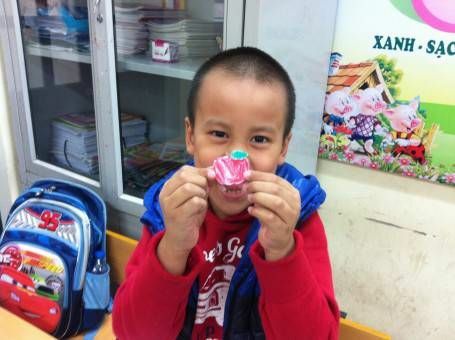 Do you need a TEFL qualification to teach kids like this? I believe that it’s best to look at a TEFL course as an introduction to the world of teaching. Personally, I found this introduction pretty useful and having a TEFL certificate definitely helped me to land a job when I had no previous experience in teaching, so I would recommend taking a course if you’re in the same situation as I was. If you already have teaching experience and qualifications though, you probably won’t need a TEFL certificate to get a job. Andrew, for example, is a qualified teacher in the UK and taught for almost four years in a London secondary school so he had no problem finding a job without a TEFL qualification. 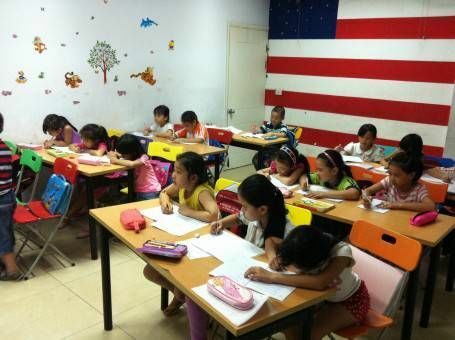 Of course, all this depends on where you’re planning to teach, some countries may insist upon you having a TEFL certificate so you should research what the entry requirements are in your chosen destination. In Asia, we found that schools and language centres generally look for native English speaking candidates with a degree, although there are several teachers at our language centre who aren’t native speakers and one doesn’t have a degree, so the rules aren’t set in stone. If you also have a TEFL certificate, a teaching qualification or previous teaching experience then you’re likely to get your pick of jobs. CELTA (Certificate in Teaching English to Speakers of Other Languages). This course was devised by Cambridge University and it costs at least £1,000 to take. This is an intensive 100-hour course, which includes at least six hours of practical teaching and is taught in CELTA centres all around the world. TRINITY CertTESOL. This is another intensive course which was devised and is overseen by Trinity College London, a UK-based exam board. The course is 130 hours long, which includes six hours of practical teaching; the course costs at least £1,000. If you have the time and money to take one of these courses I think it would be a wise move but if, like me, you simply can’t afford the course fees there are other, less distinguished options which will still help prepare you for the world of teaching and help you to land a job. Methodology and history of English Language Teaching. How to teach different ages and levels. Teaching and learning techniques and classroom management. Skills testing: speaking, listening, reading and writing. Teaching pronunciation using the phonetic alphabet. Assessments and using multimedia resources in the classroom. There were easy multiple-choice tests at the end of each module and I had to complete a more comprehensive end-of-course exam and produce a lesson plan to be assessed. I found this course interesting and it definitely gave me a good introductory overview of TEFL teaching; in particular I liked devising my first ever lesson plan, which I received useful feedback about. How to plan and deliver English language lessons. Classroom management practice and techniques. How to use games and activities in lessons. How to correct and assess students. I really enjoyed this course, the teacher was very engaging and it was great to be able to ask questions and discuss issues with other students. Throughout the weekend we tried out many different games and activities as a group, which was really useful, we also devised and delivered short lessons to the rest of the class. This experience was invaluable to me as it allowed me to really practise teaching a group of people for the first time; it was nerve-wracking but the group were very supportive of each other and I found the experience very positive. I left wishing that I had taken a longer practical course of this kind as well as an online course. As I mentioned above, I don’t think anything can really prepare you for the real world of teaching. As with most jobs, your development doesn’t finish at the end of a course, you need to be proactive and continue to seek out new learning methods, resources and adapt to be successful. However, I do think I would have felt much more prepared had I taken either a CELTA or a longer practical TEFL course before arriving in Vietnam; I’d definitely recommend this option if you have the time and money. 2018 teaching opportunities in Hanoi – the language centre we used to work for in Hanoi is now recruiting teachers to start in August 2018. If you’re a native English speaker with a degree and TEFL qualifaction, contact us now and we can put you in touch with the director for an interview. Alternatively, if you’re looking to teach English in South Korea, then fill out this form and the team at Teach and Travel Recruiting will get back to you as soon as possible. Have you taken a TEFL course, or do you have any other recommendations or questions? Feel free to leave a comment below. Very interesting info, Amy. I might teach English in South America if I decide to stay there longterm. If I do I’ll definitely do a celta course. I’ve no teaching experience and would be pretty nervous about the whole thing (seems like a lot of responsibility!) so I feel a celta would prepare me better. I also get the impression a celta or similar is necessary for the better paid positions, like my brother got a great job teaching abroad for the British Council, which he wouldn’t have got without a degree and a celta. Perhaps a celta is the way to go if someone decides they want to make a career out of teaching abroad. Thanks for the info, Amy. Nice to know a celta might not be the only route in to a good teaching job. Thank you so much Amy. It’s great to have insight into this from the real world beyond the people selling TEFL courses. It sounds like you’re getting great experience. I know you guys have traveled SE Asia extensively already, but do you find you have the time or energy to head out exploring with your downtime? 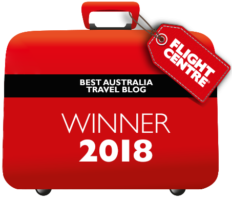 Like heading to Thailand or Cambodia for a few days? Hi Jamie, we haven’t really left Hanoi since we arrived as we’ve found settling in and working pretty exhausting. We are planning a weekend trip to Cat Ba island in December though and we’ll be heading up to Sapa over TET in February. We work everyday except Saturday and Sunday so there’s not really time to hop over to another country; we are looking forward to going to Thailand for a few weeks when our contract ends in May though. Some great advice here, and interesting to know you did two different courses – do you think you would have still got the job if you had only completed the online course? I think I would have still got this job in Vietnam Catherine; for our work permit application I had to show my 120-hour online TEFL certificate but it didn’t matter about the other one. However, we were initially considering going to South Korea and we almost began the application process through a recruiter; she advised me that they would only accept people who had done some kind of practical course. So, it really depends on where you want to teach with regards to what course you should take; as a general rule, more practical courses are best. Ahh, I see. Thanks for the extra info. Will keep this in mind when we start to look into teaching English more seriously! Thanks Amy! I’ve been debating taking the TEFL course for a while now. I’m not sure that I will end up teaching wherever I end up or if I’ll even want to stay abroad long term. I think I will wait until I get where I’m going and then take the online course if I decide to teach. Great post! No worries Kendra 🙂 That sounds like a good plan, it’s good to find a place you’d like to teach in first and then find out what kind of qualifications they require for teachers. This is such a helpful and informative post Amy – very comprehensive! I hope you are still enjoying teaching – it sounds like a bit of a baptism of fire but a lot of fun too and a great way to see Vietnam! 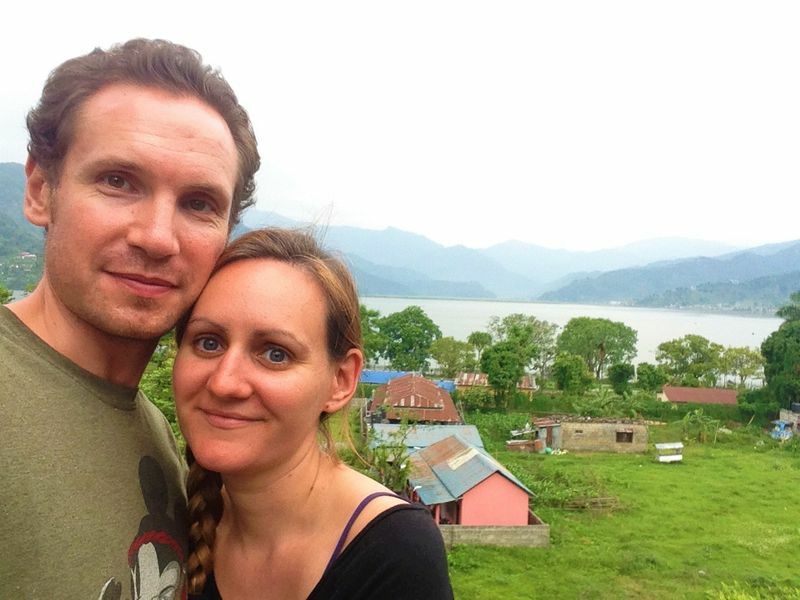 Amy, this is a great introduction to TEFL – thanks so much! I had no idea there were several and that you could take it online. Considering the fairly cheap price, it’s probably a good idea to just take it when you plan on moving abroad. You never know when it might come in handy. No worries Miriam 🙂 Yes, it certainly wouldn’t hurt to take a course before you leave in case you decide to teach later on. I know so many people approach teaching English abroad as a “backup option” and so don’t bother getting certified or taking it seriously, but I think that teaching is an extraordinary responsibility and just because standards aren’t perhaps as high in certain places, that doesn’t mean we should be irresponsible and take on positions that we’re not qualified for. That’s not fair to the students who we are meant to be teaching and is one of the biggest reasons why, even with a PhD in Psychology, I would certainly want to take a TEFL type course if I ever decided I wanted to teach abroad for any period of time. It definitely sounds like you found your course worthwhile, even if there is no real substitute for real-world, in-class experience. Not only are you more comfortable and confident teaching, but I’m sure your students are benefiting as well! That’s so true Steph, people should take teaching seriously. I’m so glad I took those TEFL courses as teaching standards here in Vietnam are quite strict and a lot is expected of you; my classes are regularly observed by the school directors and I had a surprise observation from the Vietnamese Ministry of Education too which was pretty scary (luckily it went well). I’m also fortunate that I have Andrew, who was a teacher in the UK, to give me advice. If I was choosing a course again I’d probably go for the CELTA option to be even more prepared. I’m planning to move to Hanoi in late January to teach English. I’ve been reading loads of your post about teaching there and getting a job etc and have found them really useful. So, I just wanted to say thank you! This is soo so helpful! I’ve been driving myself crazy researching CELTA/TEFL classes in my area, theres only one and its super expensive and I just wasn’t sure if it’s worth it, as it only has one day of teaching and thats just in front of the rest of the class. I am planning to come to Vietnam, based on my research it seems the most lucrative and easy to find a job. I have a college degree and marketing/comms “real world work experience” for the past 7 years and will get the TEFL from lovetfl like you did. Based on that it should be fairly straightforward upon arrival…..right?? Are you guys still in Hanoi or have you moved on? Can you start a job at any time, such as a mid april arrival as I’m planning? Thanks so much for this post! I agree a course is a just a starter and it’s not required, but I wouldn’t take a CELTA course unless you have like $2000 or so to spare and if you are planning teaching ESL as a career or for the long term. Before I started teaching I spent a $1000 for a course that didn’t prepare me for what I was going to encounter in Asia. I would recommend taking an online course a couple of times. Despite common assumptions the best time to take a course – if you only have one time is when you start teaching. That’s when an online course is handy. Take it a few times, but take it especially when you are teaching that way you will be able to relate. If you take a course a month or even weeks before you start teaching you are not going to be able to relate to that information. Hi Ian, good points. A CELTA would certainly be a good option for someone who wanted to teach long term. I would have found it useful to do an online course alongside my first teaching job too, in fact I did refer back to the syllabus of my TEFL course when I started teaching. First of all let me thank you for an amazing website, this is worth more than you can imagine, to have this possibility to read someone experiences in a very deep detailed way, there’s not enough words to say thank you, you guys are amazing!!! I know that there is a very small difference between TEFL to TESOL, but does one of these are more preferable over the other, in Vietnam? And from your experience, if English is not my native language but I do have a B.A in Political Science and a couple of years experience in English teaching to the private sector…what are my chances after getting a Tefl/Tesol as well ? Hi Shay, thanks for reading and commenting, I’m glad you’ve found our site useful. 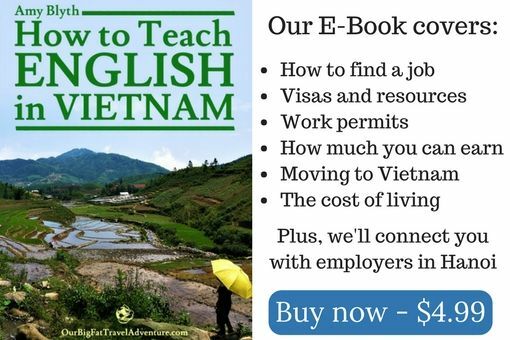 I don’t think that it matters too much whether you have a TEFL or TESOL for Vietnam to be honest. Also, you should be ok finding a job as long as you have a degree, TEFL/TESOL and experience. I would send your CV through to some language centres in your target city to gauge their reaction. I know a non-native speaking teacher who also send audio clips of her speaking English to schools with her CV, which helped her land a job. Good Luck!